Bitcoin price volatility is not the only factor that hampers the cryptocurrency’s progression toward the mainstream market. Despite being a prevalent unit on the Internet for almost seven years, both the conventional market and cryptocurrency community are still oblivious about the fact that Bitcoin’s global acceptance also displays great signs of instability. Ever since Bitcoin entered the market, society already has mixed opinions about its usage in the orthodox setup. Thus, the Bitcoin acceptance volatility phenomenon becomes strongly evident across the globe as the population of Bitcoin supporters and deterrents continues to rise. Compared to its nurturing years, Bitcoin has already garnered an encouraging amount of followers, particularly in the Western countries. 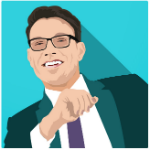 UK arguably shows the greatest support for this cryptocurrency innovation. In fact, it conducts several studies and developments, which include a ₤10 million funding dedicated to Bitcoin research in order for UK to become the world’s prime Bitcoin hub. In addition to housing a number of Bitcoin and cryptocurrency exchanges, UK also enables cryptocurrency consumers to utilize and acquire Bitcoin in a variety of ways. These methods include Bitcoin exchange, peer-to-peer buy and sell, and even online gambling with Bitcoin. Rallying alongside UK is Sweden. Although this country does not make that much buzz as the former, Sweden has done efforts and movements that hint about Bitcoin’s next thriving ground. 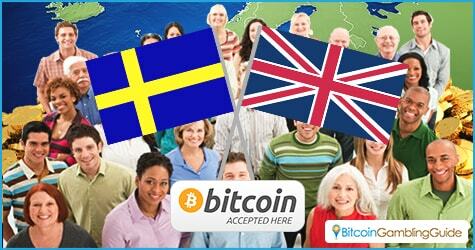 As of late, Sweden has begun to openly promote a system that enables cashless transactions. The establishment of cashless financial environment is now strongly prevalent in the country since five of its major banks have already declined to operate using cash. According to Swedish authorities, this promotion is done in order to fully push the benefits and security that electronic transactions bring to its citizens. This is a great opportunity for Bitcoin to influence the overall development that Sweden is doing in order to establish an all-out electronic financial landscape. Given that one of Bitcoin’s greatest assets is to conduct seamless, instant, and secure transactions, Sweden and other countries may soon fully integrate this cryptocurrency as one of their payment conduits. On the other hand, despite the global efforts to promote and develop the Bitcoin and blockchain technology, Taiwan seems to take Bitcoin on a negative note. 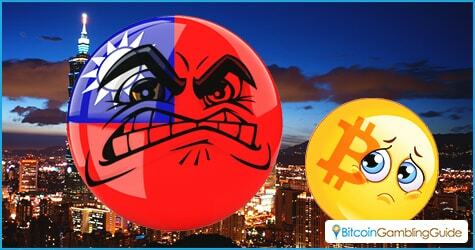 Days ago, Taiwan’s Chairman of Financial Supervisory Commission (FSC) declared that Bitcoin is now illegal in the country. This announcement came about after the recent kidnapping of a high-profile Taiwanese personality whose suspects demand ransom worth 30,000 BTC (approximately 70 million HKD). Bitcoin users have grown to utilize the cryptocurrency for daily transactions like payment of utilities and bills. Still, government officials are forced to completely shun Bitcoin away from its audience base in order to save the country from further damages. This ultimate apprehension has plucked a great strand of opportunity for Bitcoin to fully penetrate the conventional market. Although the Taiwan Bitcoin community will be the only one experiencing the direct hit from this controversy, the whole Bitcoin ecosystem will eventually feel the effect of this illegalization in the long run. Global acceptance—is it still possible? Global Bitcoin acceptance seemingly remains to be a sensitive topic regardless of the number of advancements that are made with the cryptocurrency. As far as these events are concerned, Bitcoin usage in the mainstream market seems to be an insubstantial vision for now, save for the thriving Bitcoin casino market and other niche cryptocurrency industries. If both parties—Bitcoin advocates and deterrents—come up with a positive consensus, it is the only time that the cryptocurrency will only be worrying about its price volatility.